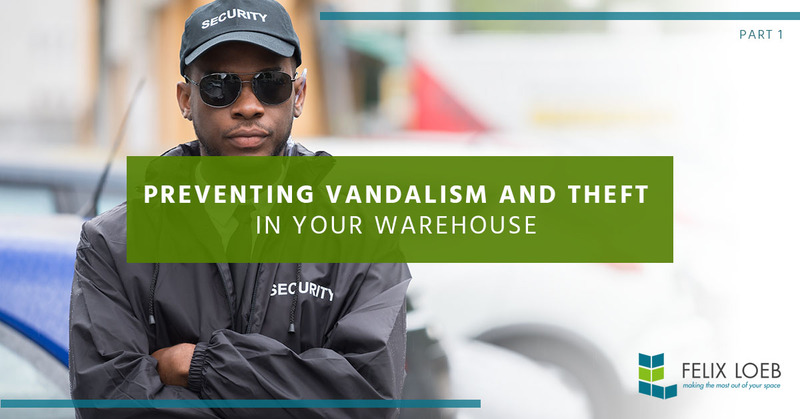 One of the most important aspects of running a warehouse is keeping your products safe from vandalism and theft. There are a lot of storage options out there that will protect your assets, however, there are a few that will do it better than others. In this blog, we’re going to talk about several of the options available to you. Wire partitions are a cost-effective way to protect your products. You’ll be able to see from the outside whether your products are in good condition or not due to the wire mesh. There are a lot of lock options that you can use for them as well as swing or sliding doors. Our tenant storage lockers are great for instant, versatile, and secure storage to keep yours or your employees’ belongings safe while allowing for greater visibility than a normal storage locker due to the wire mesh. One of the best ways to prevent theft in a warehouse is to install cameras. You should install them in a place that will protect your most valuable assets, in addition to areas that may be less protected. Preventing vandalism and theft can be as simple as changing how you store your products. At Felix Loeb, we have a huge assortment of storage options and can help you achieve whatever warehouse layout and design that you’re looking to make. Keeping more expensive items towards the center of the warehouse and as high as possible, out of reach is generally the best way to go. No matter what storage solution you have in mind, contact Felix Loeb today and we’ll help you accomplish it. We have everything from pallet racking, high-density storage, and lockers to rolling carts, hand trucks, and safety equipment.